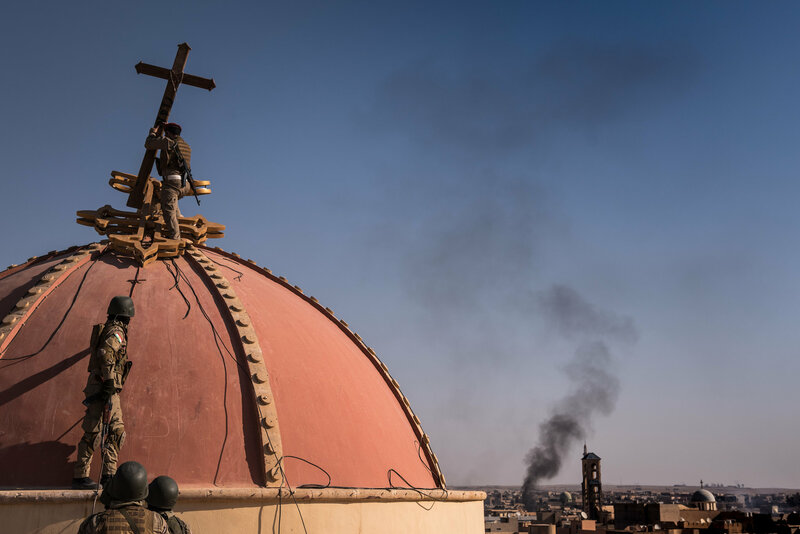 The Rebel's Faith Goldy is on the ground in one Christian town targeted by ISIS in northern Iraq. Telskuf is now liberated thanks to Peshmerga forces on the ground, in tandem with US led coalition air strikes in the skies but Canada had nothing to do with this Christian town's newfound freedom. Faith shares her raw reaction from the ground. Faith Goldy of The Rebel Media takes us into the torched and hollowed out chapel of a Church in the Chaldean Christian town of Batnaya to show us never-before-seen footage of the terror wreaked by ISIS towards Iraq's native Christian population. MORE: https://www.therebel.media/desecratio..